With all the conflicting nutrition information out there, it’s hard to navigate your way to the truth. Gluten-free, low carbohydrate, and grain-free diets are among the many different diets that are advertised. But why are carbohydrates often treated as the enemy? Stephanie Dang, Registered Dietitian, is here to explain why whole grains should be be embraced, not feared! So why should we include whole grains and whole wheat products in our diet? If this list isn’t enough to convince you that we need whole grains in our diet, let’s discuss why the common grain-related diets may not be beneficial for you (specifically, gluten-free, grain-free, and carbohydrate-free diets). It is important to understand that none of these diets are the same. If you have been diagnosed with celiac disease, you should follow a strict gluten-free diet. However, if you do not have celiac disease, there is no evidence showing that a gluten-free diet will be beneficial. In fact, many gluten-free products require additives (such as sugar and fat) to make the taste and texture appealing. Grain products: foods made from cereal grains, such as wheat, barley, rye, cornmeal, rice, oats, etc. For example, bread, pasta, cereal, granola bars, crackers, popcorn, and rice. Carbohydrates: the sugars, starches, and fibres that are found in fruits and vegetables, grains, milk products, and many processed foods. They are our main source of energy! The reason why these diets may seem appealing is that they actually cut out most “junk food”. For example, cookies, cakes, muffins, many fried foods, processed and packaged foods, etc. And these diets work because you cut out these higher calorie foods, not because of cutting out all grains/gluten/or carbohydrates. Additionally, following a carbohydrate-free or low carbohydrate diet eliminates so many nutritious foods that contain important vitamins and minerals! When you restrict carbohydrates, you are putting yourself at risk for nutrient deficiencies. Not to mention the fatigue resulting from restricting your body from its preferred energy source. But are there grains that we should be avoiding? The answer to this is quite simple – eat everything in moderation! Choose whole grains more often (whole grain or whole wheat bread, whole wheat pasta, oats, quinoa, etc. ), and refined/enriched grains less often (white bread, white pasta, baked goods, packaged and processed foods). A slice of white bread won’t kill you, but incorporating whole grain bread into your regular diet can have incredible positive effects on your health. Wondering how to incorporate more whole grains into your diet? Stay tuned for our weekly recipes! 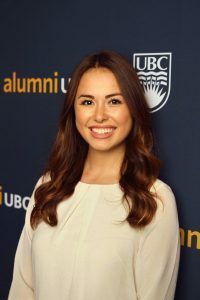 Stephanie Dang, Registered DietitianStephanie Dang, Registered Dietitian, has partnered with COBS Bread to help empower their customers to make healthy choices and positive lifestyle changes. Stephanie is passionate about helping clients reach their nutrition and wellness goals by providing them with evidence-based nutrition recommendations, resources, and support. As a nutrition consultant for COBS Bread, she hopes to inspire you to make healthy choices and nourish your body with nutritious foods! (1) “What’s a Whole Grain? A Refined Grain?” What’s a Whole Grain? A Refined Grain? 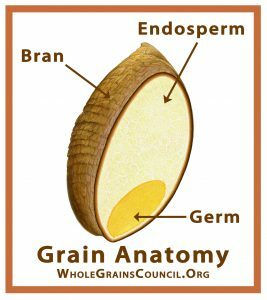 The Whole Grains Council, https://wholegrainscouncil.org/whole-grains-101/whats-whole-grain-refined-grain. (2) Rui Hai Liu, Whole grain phytochemicals and health, In Journal of Cereal Science, Volume 46, Issue 3, 2007, Pages 207-219, ISSN 0733-5210, https://doi.org/10.1016/j.jcs.2007.06.010. (3) Ozawa M, Shipley M, Kivimaki M, et al. Dietary pattern, inflammation and cognitive decline: The Whitehall II prospective cohort study. Clin Nutr. 2016;pic: S0261-5614(16)00035-2. (4) Liqun Fang, Wen Li, Wenjie Zhang, et al. Association between whole grain intake and stroke risk: evidence from a meta-analysis. Int J Clin ExpMed. 2015; 8(9): 16978–16983. (5) Aune D, Keum N, Giovannucci E, et al. Whole grain consumption and risk of cardiovascular disease, cancer, and all cause and cause specific mortality: systematic review and dose-response meta-analysis of prospective studies. BMJ. 2016;353. (6) Wang H, Lichtenstein AH, Lamon-Fava S, et al. Association between statin use and serum cholesterol concentrations is modified by whole-grain consumption: NHANES 2003-2006. Am J Clin Nutr. 2014 Oct;100(4):1149-57. (7) InterAct Consortium. Dietary fibre and incidence of type 2 diabetes in eight European countries: the EPIC-InterAct Study and a meta-analysis of prospective studies. Diabetologia. 2015;58(7):1394-408. (8) Falony G, Joossens M, Vieira-Silva S, et al. Population-level analysis of gut microbiome variation. Science. 2016;352(6285):560-4. (9) Albertson AM, Reicks M, Joshi N, et al. Whole grain consumption trends and associations with body weight measures in the United States: results from the cross sectional National Health and Nutrition Examination Survey 2001-2012. Nutr J. 2016 Jan 22;15:8. (11) “What Is Gluten?” Celiac Disease Foundation, https://celiac.org/live-gluten-free/glutenfreediet/what-is-gluten/. (12) Vitaglione P, Mennella I, Ferracane R, et al. Whole-grain wheat consumption reduces inflammation in a randomized controlled trial on overweight and obese subjects with unhealthy dietary and lifestyle behaviors: role of polyphenols bound to cereal dietary fiber. Am J Clin Nutr. 2015;101(2):251-61.